The #BritainBreathing app launched on Android last week to positive reviews and great feedback. The aim of the project is to allow people in the UK to track their seasonal allergies, such as hay fever or asthma, while contributing to scientific research. Thank you to everyone for their positive comments on #BritainBreathing. It’s important for us to encourage as many people as possible download and use the app so we can build up a large data set that we can study – so please keep spreading the word and entering your allergy symptoms into the app. Every entry does count! #BritainBreathing was also pleased to receive some press coverage to help us spread the word including Buzzfeed, Evening Standard, Farming UK, Press Association and The Independent. One of our lead scientists, Sheena Cruickshank was also interviewed on the Phil Williams show on BBC Radio 5 Live (you hear the interview at 1hr 44 mins into the show). 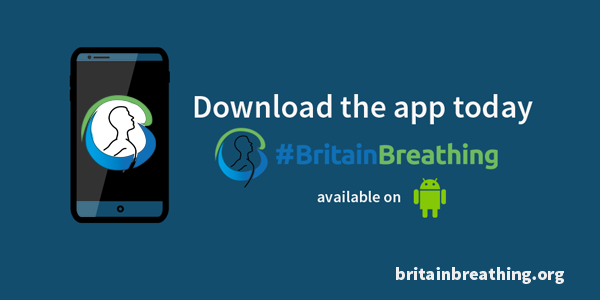 Remember, you can download the #BritainBreathing app on Android via GooglePlay and find out more about the project in our launch video.